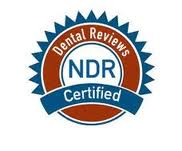 Our fees are based on the quality of the materials that we use and our experience in providing superior dental care. Prior to the commencement of treatment, fees and financial arrangements will be discussed with you. We apply a discount to your bill when you prepay the estimated fee. Pay-as-you-go with cash or credit cards---all types accepted. Our popular Care Credit Plan can help you finance your dental treatment with a no-interest monthly payment to fit almost every budget. If you have dental insurance, we will correspond with your insurance company to insure that you receive your maximum benefit.